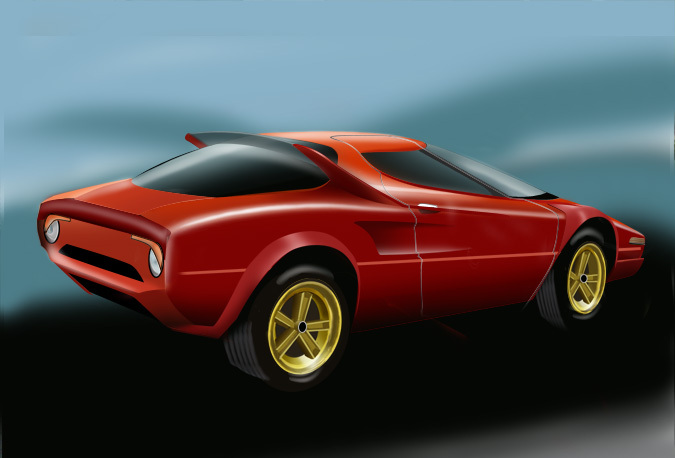 At the Top is a version of what I think a production Lancia Stratos could look like. Rally racing has been a very big sport in Europe. Winning vehicles have come from Ford, Mitsubishi and Audi. 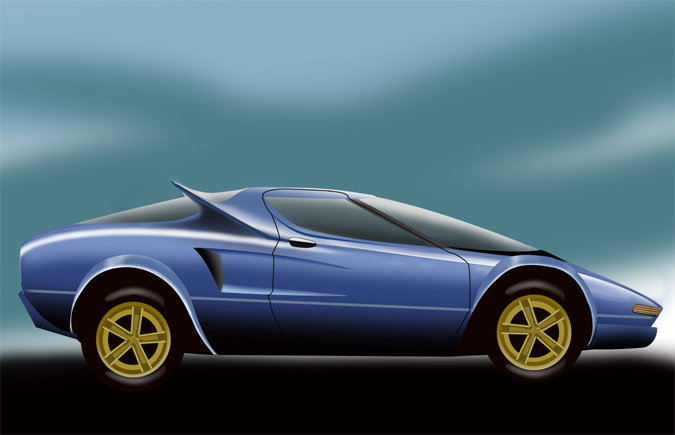 In the 70s Lancia created a show car that stunned the world. 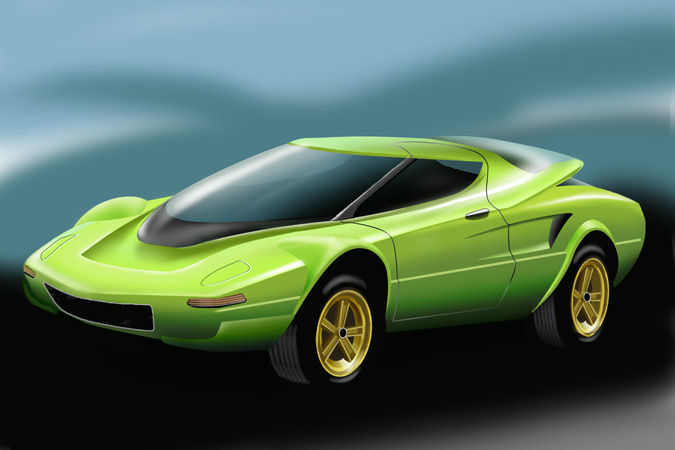 Its production version was nothing like the show car and nothing like anything seen before. It too was stunning. Soon Lancia sent this production vehicle on the Rally circuits and won the championship three years running. It not only talked the talk but walked the walk.